Tessa and Al asked us to Paddy’s Whiskers to provide a full day’s musical entertainment at their wedding celebration at the beautiful Barn, South Milton back in July of this year…acoustic music for the drinks celebration, a rip roaring ceilidh and then a disco late into the night. We played a wedding ceilidh for Scott and Suzy at the beautiful Colehayes Park, hidden away just outside Bovey Tracey on the way to Hay Tor last weekend. We’d met Scott and Suzy a few times at our public gigs, so we were delighted to be asked to play for them. We started the evening dancing with a first dance – which we announced when the time was right and then played for them through our PA. They chose the track “The One” by Kodaline. Lovely. Thank you to Becky and Pat for asking us to play a barn dance at The Humber Barn, Red Rocks Brewery, Devon a couple of weeks ago. Becky had been at one of our parties at the same venue a couple of years ago and decided to invite us to play for a joint party to celebrate her birthday and that of her good friend Pat. We had a lovely evening..the views from Humber Barn are amazing and the crowd were totally up for dancing…it was wild!! “Hi Andrew, thank you too for playing such great music and keeping everyone up dancing! I think everyone thoroughly enjoyed it (we certainly did) we had loads of compliments about the band and how well organised the dancing was. Andrew and Jules from Paddy’s Whiskers were recently invited to record for BBC1 at Powderham Castle as part of Mary Berry’s latest series…. Blink and you’ll miss it, but here we are, right at the end of the programme, getting the Earl and Countess of Devon and all their friends up and dancing.. Earlier in September, Paddy’s Whiskers played a wedding ceilidh for Hollie and Matt at New Barton Barns in Wembury, Devon. Matt and Hollie booked our “duo plus caller” line up – a smaller band for a smaller space but with all the full on party energy that we bring to all our gigs. “Matt and I would just like to say a big thank you for providing amazing entertainment on our wedding evening. Everyone said how much fun they had and how much they enjoyed the Ceilidh! You are both such lovely people as well! Some lovely feedback from a wedding ceilidh barn dance we played recently at the amazing Higher Eggbeer, Devon for Jess and Tony.. Thanks again Jess and Tony – we had a fantastic night and you have a great crowd of family and friends. Paddy’s Whiskers are honoured to play many gigs, barn dances and ceilidhs at weddings, parties and private functions in Devon, Cornwall, Somerset and across the South West. In the winter months, we take time off from private functions to write and rehearse new material, and to play a series of public gigs – when we can play our full range or Irish, American, Celtic and original material to our friends and fans. Winter 2016/17 has been an exceptional time for us..starting with a long sold out New Year’s Eve party at The Boathouse, Paignton. 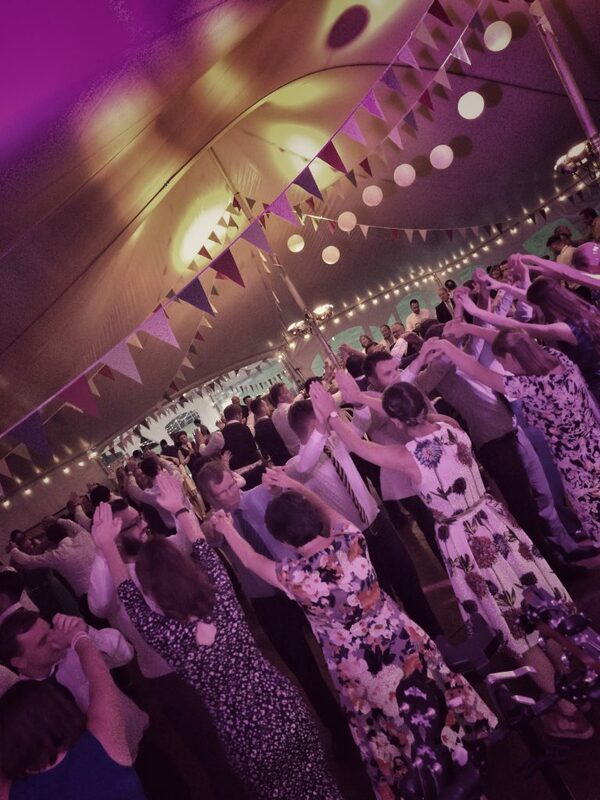 and the party went long into the night, live music, barn dancing, DJ, surprises for the guests…. Then in February we played our annual winter warmer afternoon gig, back at The Boathouse. We love this gig as it gives us a chance to try out new material. The venue is close to our home, so all our friends come along…it was packed. Fun…and at these afternoon gigs, Blake (120 year old son of Andrew and Jules) gets to play a couple of numbers with the band. And then..the madness that is St. Patrick’s Day. Always busy for Paddy’s Whiskers because we play and love Irish music..this year was the fifth in a row at The Snooty Fox, St. Marychurch, Torquay. What a day…what a night! 4.8 thousand hits and rising…..
We’d have dressed up if we knew he was gonna bring a camera! That’s our boy Blake on whistle. And the Snooty Fox in the evening..a set long on Irish Tunes, well known songs (Dirty Old Town, Irish Rover, Wild Rover, Whiskey In The Jar) and fast and furious jigs and reels. Perhaps the busiest night ever at the pub…wild. Everybody dancing from 9pm til well past midnight. Guinness flowing..The picture at the top of this post is from the night. Thank you everybody who made the night such a success. We’ll be back. March 17th 2018. 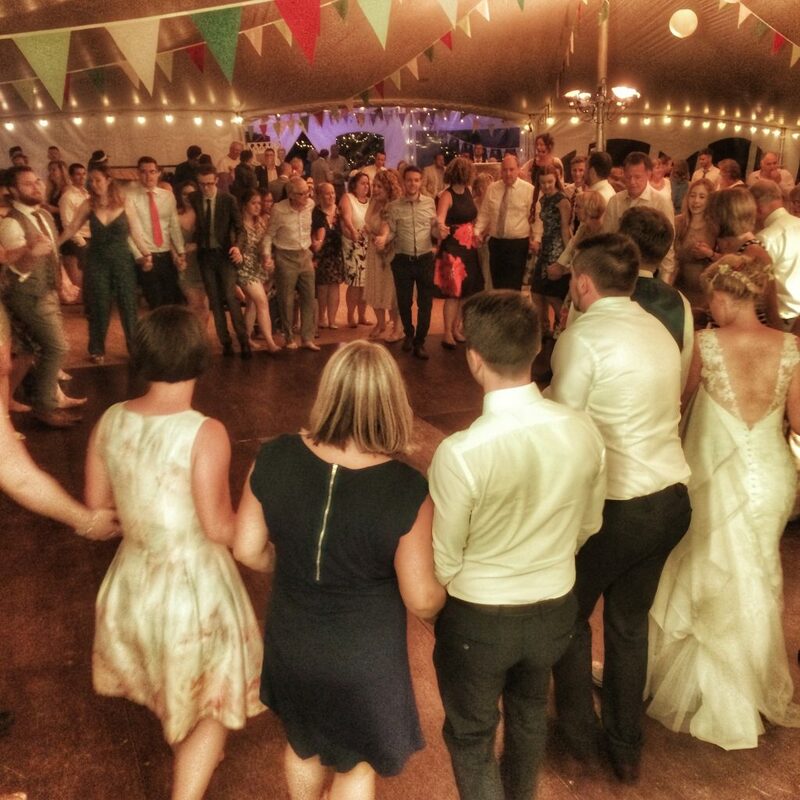 At the end of July, Paddy’s Whiskers were lucky enough to be asked to play a wedding ceilidh or barn dance for Andy and Naomi in a beautiful marquee in the picturesque village of Noss Mayo, Devon. Thank you both so much – we rather like the idea of the village being filled with the sound of Paddy’s Whiskers!